At the age of 33, not many footballers, or rather sportsmen, have much left to play for. They feel tired, they feel they have done enough, and usually at this age they either quit the game or try their luck at an easier, less demanding level. The likes of Ronaldinho, David Beckham and Iniesta have done the latter, deciding to move somewhere less demanding where they are offered highly lucrative contracts to ply their trade. You don't see players at this age being highly demanded and valued. You don't see clubs chasing after them, claiming that the particular player will be the "difference" for them. And that is what makes Cristiano Ronaldo so special. At the ripe age of 33, Italian giants	Juventus have splashed out €100 million for the superstar, almost €6 million more than when Madrid snatched him away from Sir Alex Ferguson's Manchester United 10 years ago, when he was the reigning Ballon d'Or winner. 10 years on, football's most coveted individual prize is still in his hands. A lot has happened in	Ronaldo's magnificent decade in the Spanish capital, but the start wasn't exactly ideal - the season ending trophy less. With the huge standards that he would go on to set, his return of 33 goals in all competitions seems a bit measly in retrospect. That, combined with the fact that Real Madrid had disappointing exits in the Champions League and Copa del Rey, made some question the high price tag that he bore. But his second season put paid to all such questions. He scored an astonishing 53 goals in that season, along with a Copa del Rey trophy and a much improved semifinal appearance in Europe. And after that he really took off, winning two La Liga titles in the years to come and an unbelievable four Champions Leagues. Along the way, there have been some very special moments for the man; there was his first La Liga title, Real's first in four years.There were his Ballon d'Or victories, with the prize ending up with him four times with Madrid. There was his Champions League win in 2014, his first with the club. There was his bicycle kick against Juventus in the 2018 Champions League, in response to which the Juventus fans stood up and applauded. There were many, many records broken; and there are almost certainly more waiting to be thrashed. 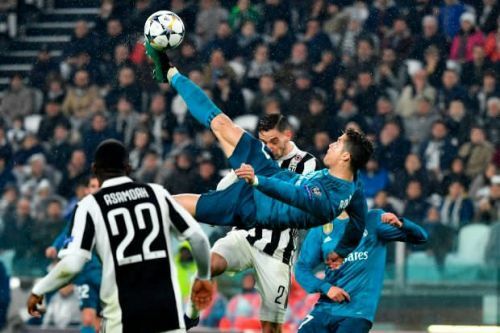 Ronaldo's strike against Juventus in the 2017/2018 Champions League was hailed as one of the greatest goals in the tournament's history. Juventus will be a challenge for Ronaldo, but he will surely thrive with the drive that he has within him. His hard work, status and image will help not just him but also the club and the whole of Italian football. With this man in their grasp, there seems no limit for Juventus. Ronaldo has again been gifted with a team of highly talented individuals. With the likes of Higuain and Dybala	at his side, Ronaldo will likely come out on top once again, and who knows how high he will fly? Who knows what this man will do now? 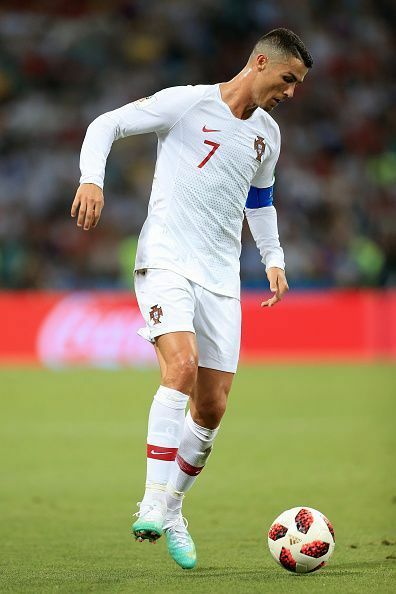 The man is a real great, and as he keeps on moving on, we have no choice but to think how immensely fortunate we are to be able to witness the spectacle known as Cristiano Ronaldo. Cristiano Ronaldo: A disappointing season despite Serie A triumph.